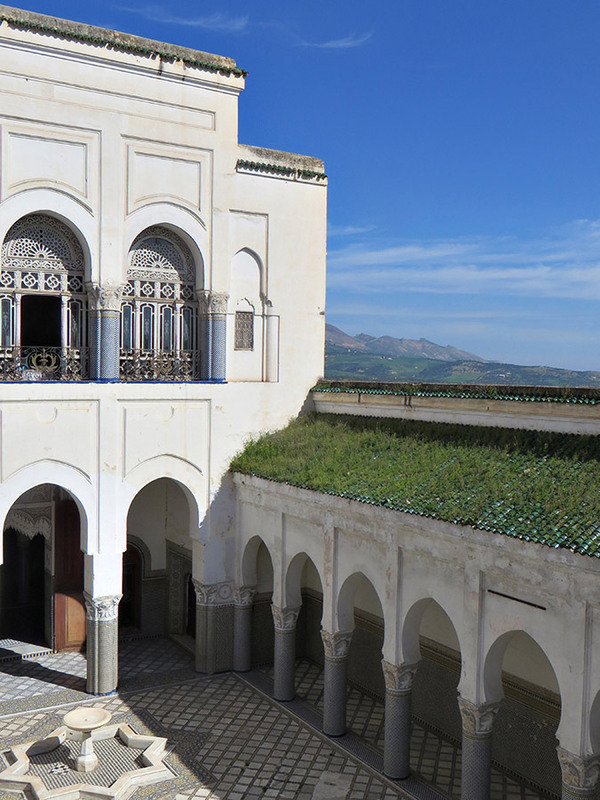 I had read somewhere about a UNESCO World Heritage site, an old palace in Fez that could be visited, and I requested my guide take me there. 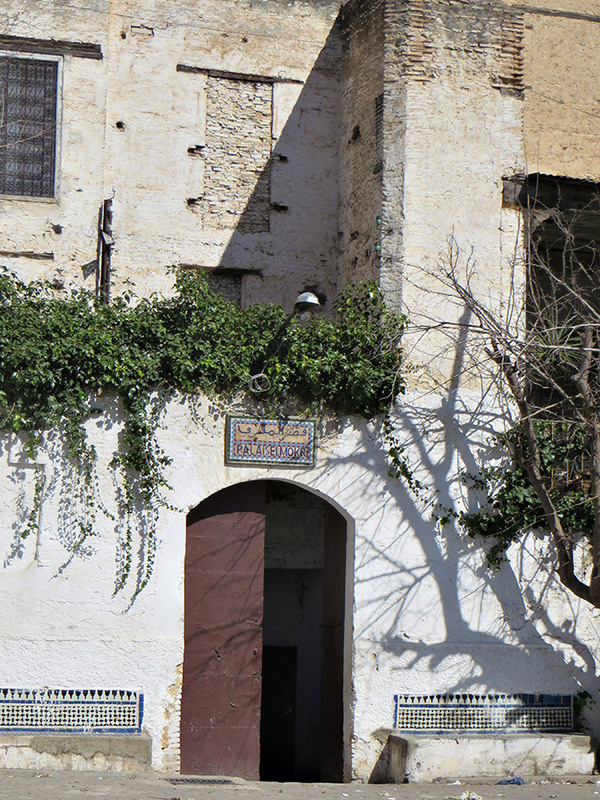 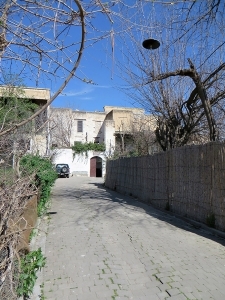 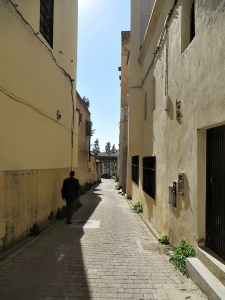 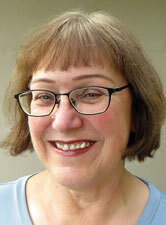 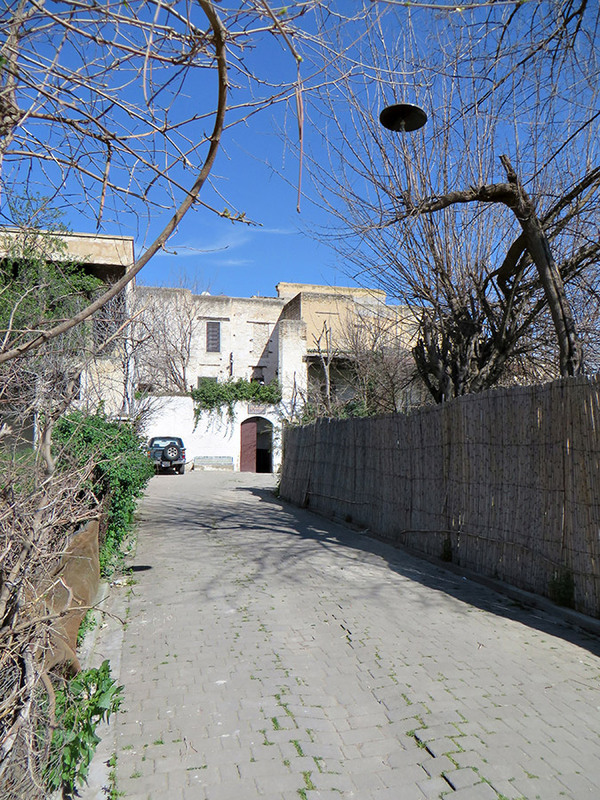 But walking on the quiet edge of the Medina, on sun-drenched roads that lead up a hill overlooking a valley, I began to have my doubts: we appeared to be far afield of any popular tourist site. And indeed we were. Nearing the palace walls, a young man walking our way inquired our purpose. 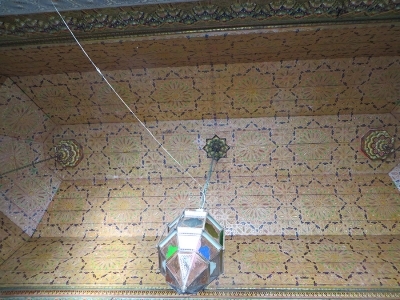 He turned out to be the grandson of the man who built this palace in 1906, Si Tayeb El Mokri. 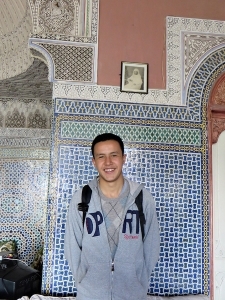 The young Mokri, Said, who would be my guide, told me about his grandfather as he showed me through astonishing rooms. 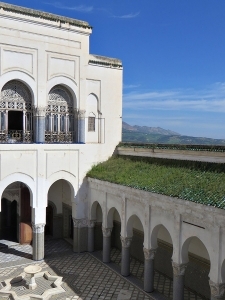 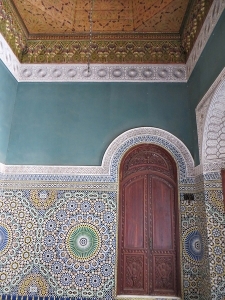 The grand spaces and rooms held remnants of the family’s glory days, and also of a particular moment in history–a moment when Morocco was opening up to Europe and to modernity. 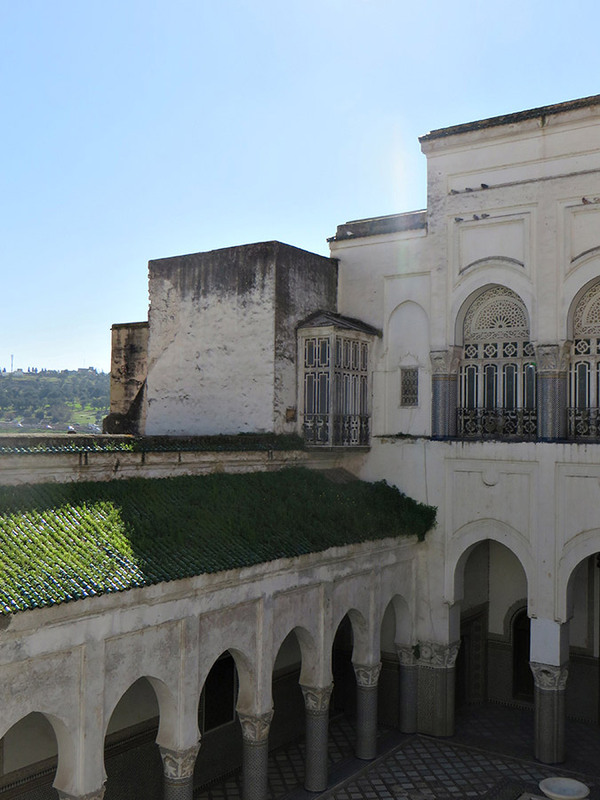 Si Tayeb El Mokri was a legendary figure and a powerful man of Fez. 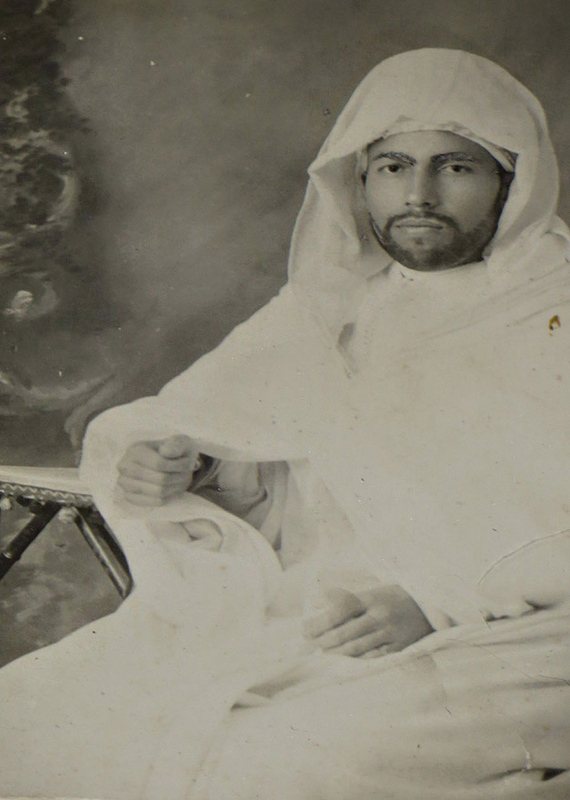 He served as Minister of Finance to the Sultan Moulay El Hafid, and then served Sultan Mohammed V (who later became king) as Pacha (Mayor) of Casablanca from 1927 until his death in 1949. He was a sophisticated traveler who frequented the courts of Europe, and pursued his interests in art and culture. 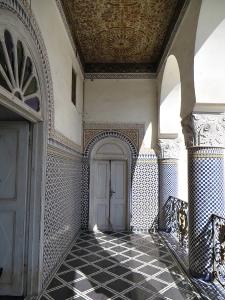 He was music lover: he was the first Moroccan to import a piano, and his four wives were musicians. 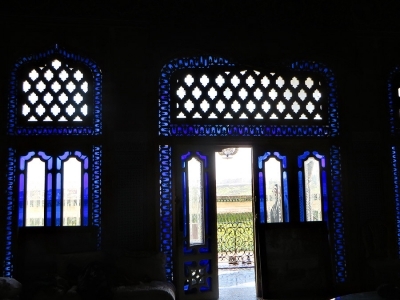 The old palace displayed beautiful works of sculpted stucco, painted wooden ceilings, carved cedar wood, beautiful staircases and Murano glass windows and chandeliers. 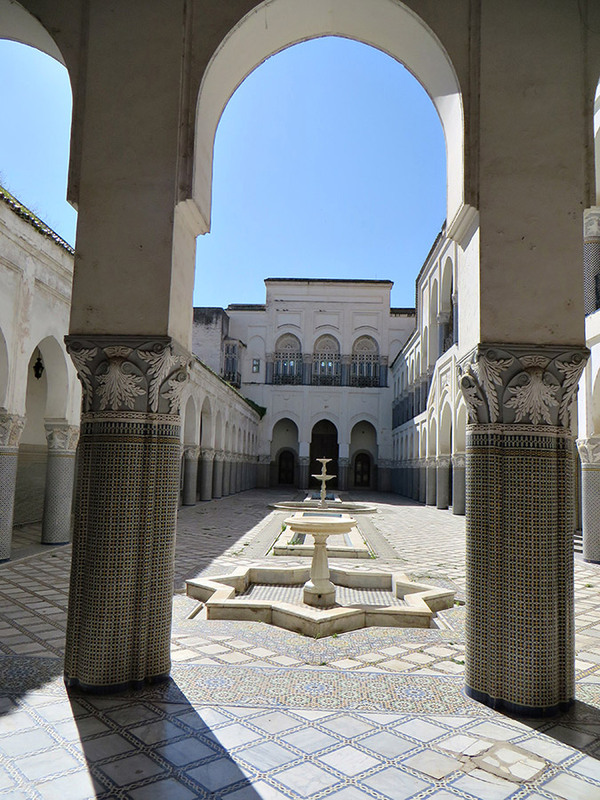 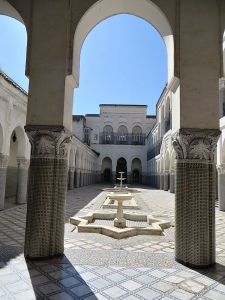 There was a grand and lovely inner courtyard. 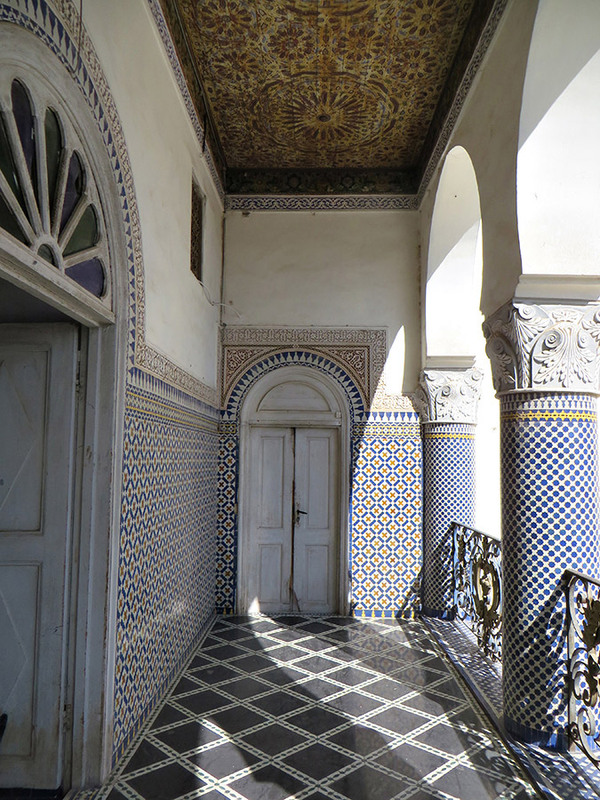 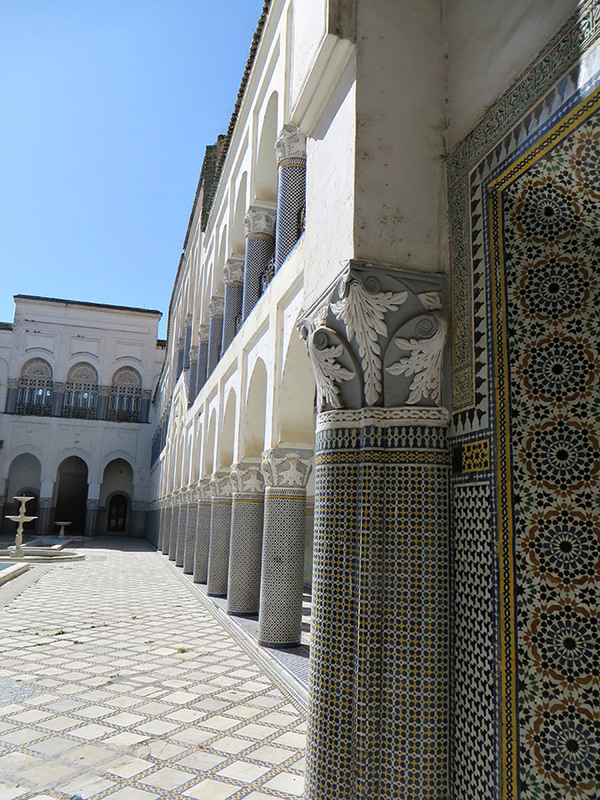 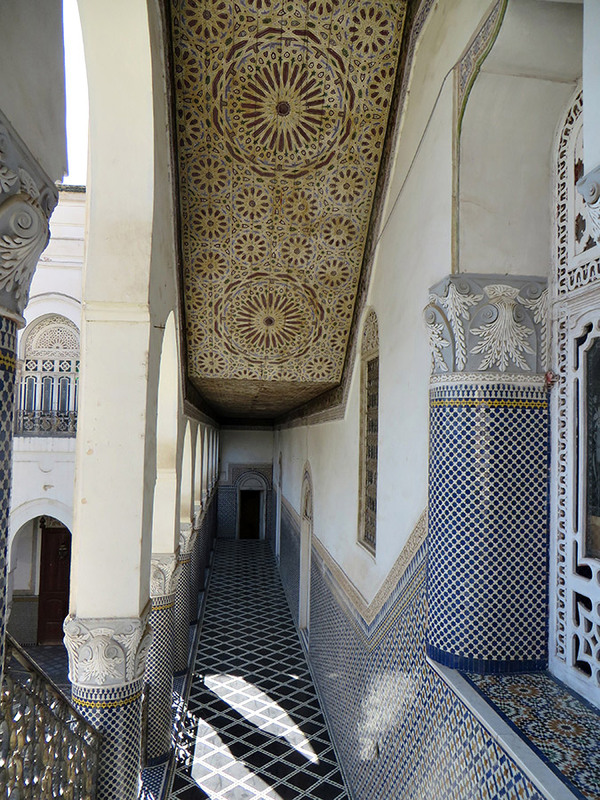 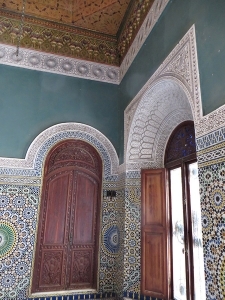 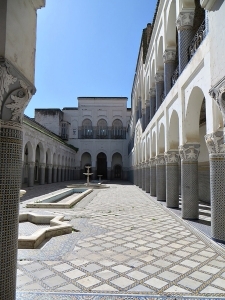 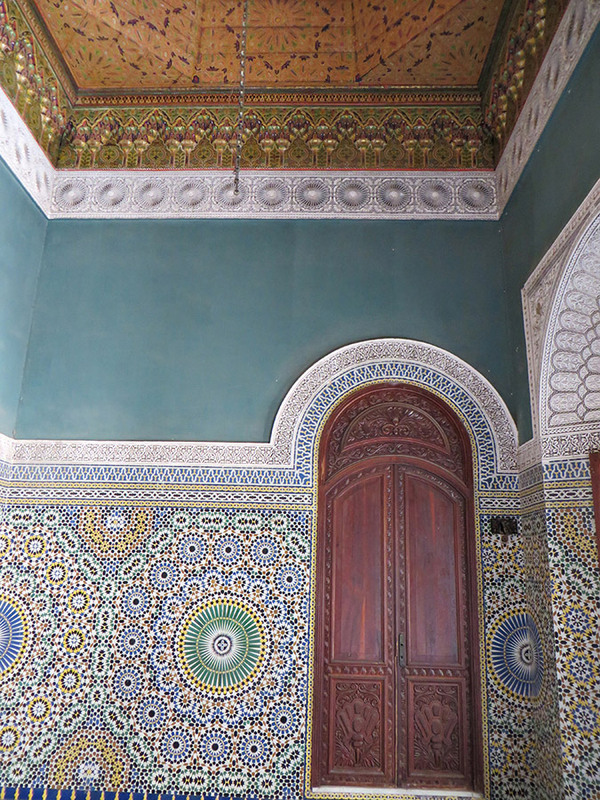 Some of the palace is the residence of family members–and in reality I probably saw relatively few of its many rooms–but it was enough for me to get a sense of the former grandeur of this place–and to imagine turn of the century life of the elite here in royal Fez. 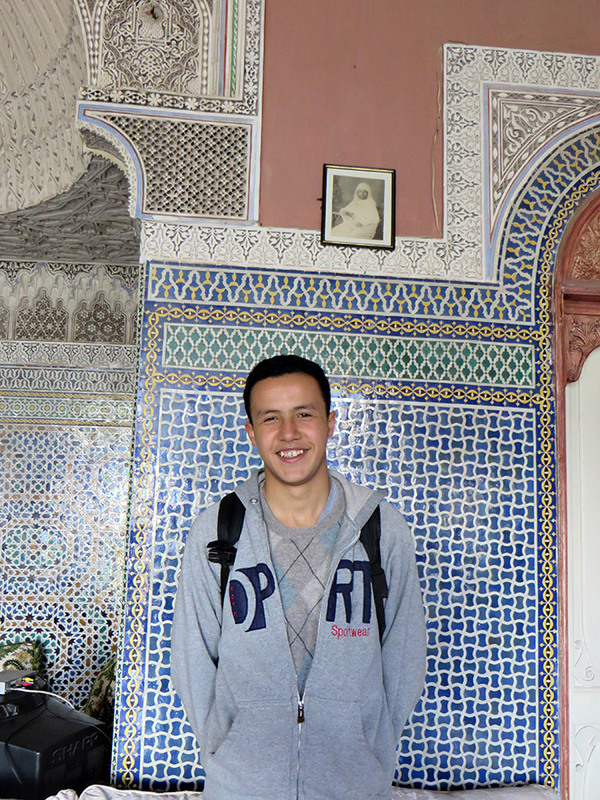 Being in the company of one of the heirs to this living history, Mr. Said Mokri, made my visit feel very special. 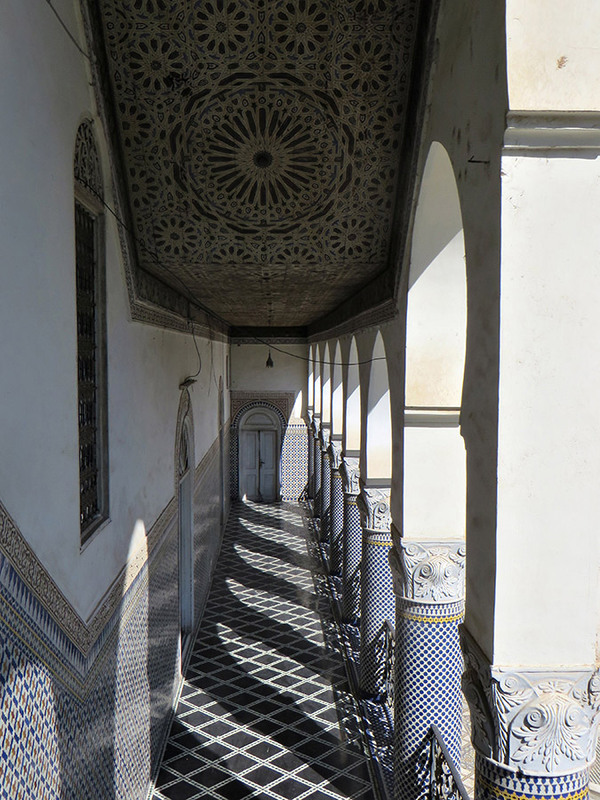 Is a Danube River Cruise Right for You?